New! 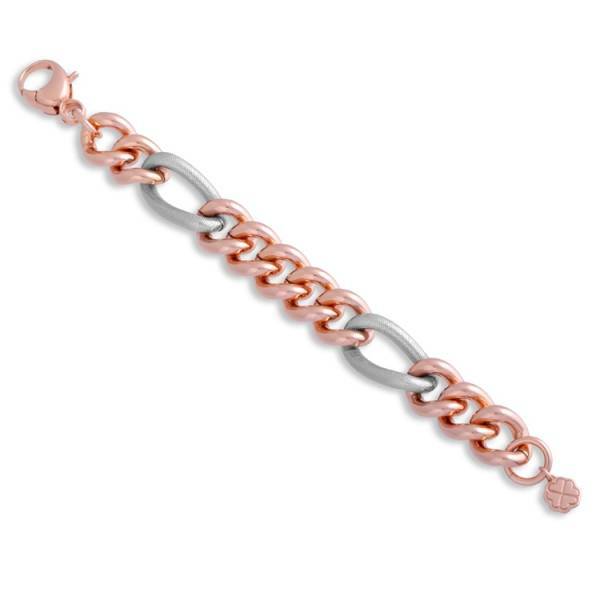 La fashion steel rose gold plated and rhodium finish bracelet for women. 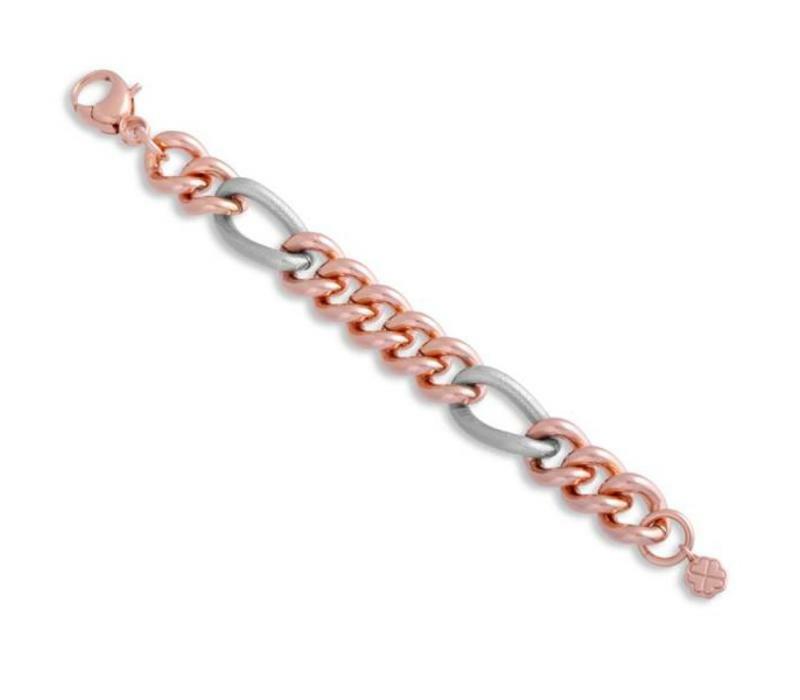 The bracelet is made of figaro links and smooth / processed.